Ceremonial sword for a fraternal organization. Patterned after the classic shape of 13th century swords of war, it incorporates materials that express a timeless character. 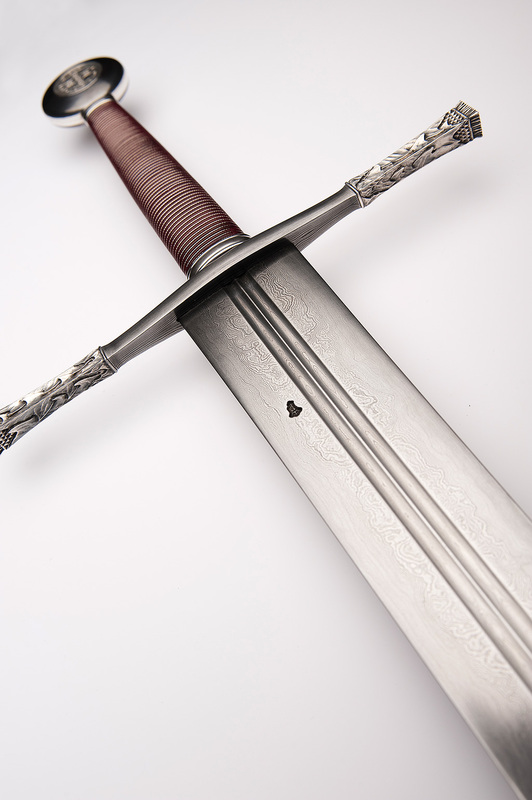 The design was developed to incorporate symbolic meaning, not only in the decorations and engraved texts, but also in its proportions of the sword. The finials of the guard are sculpted and cast by cire perdue process in solid silver. Blade, guard and pommel are forged in random patterned laminated steel in several hundred layers. Fittings and inlays are sterling silver and fine silver. Engraving of text and medallion by Stig Sylvén. 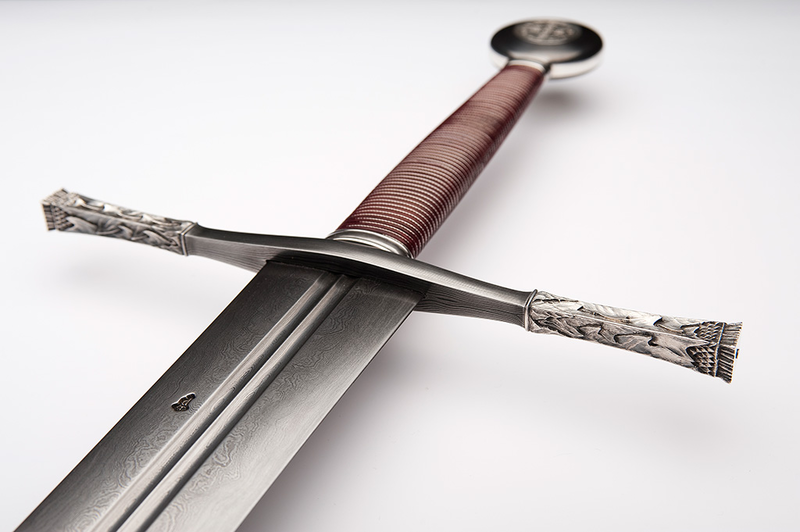 As the intended function is that of a bearing sword in ceremonies, it was made to be light and nimble despite its size (blade length is 90 cm and some 6 cm wide at the base). 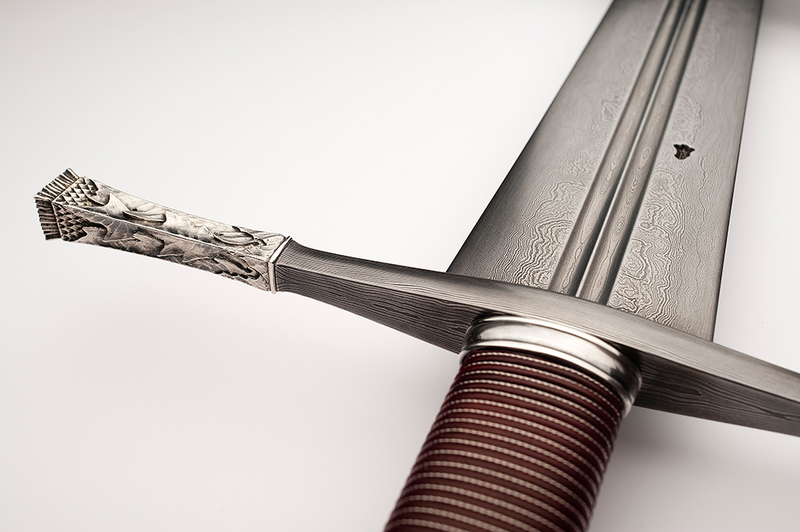 Without scabbard, the sword weighs around 1200 grams. It is balanced as a weapon to invoke a feeling of sincerity and seriousness. Also when a sword is used as an attribute and symbol it has to support its role by being made as a functional weapon (even if left unsharpened for obvious reasons).